With the recent release of the 4.05 Kernel exploit by SpecterDev, I’m sure everyone’s busy trying to figure out how to run it and what it can do. 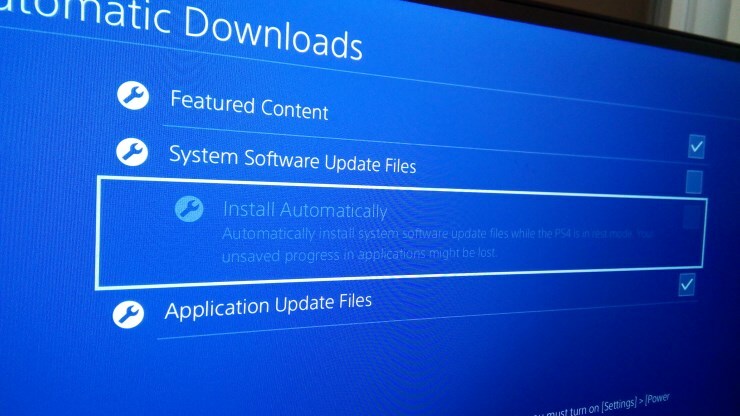 The first step, if your PS4 is not running firmware 4.05, is to update to 4.05. But you need to be careful not to update to the latest firmware (5.03 at the time of this writing), so follow this guide. 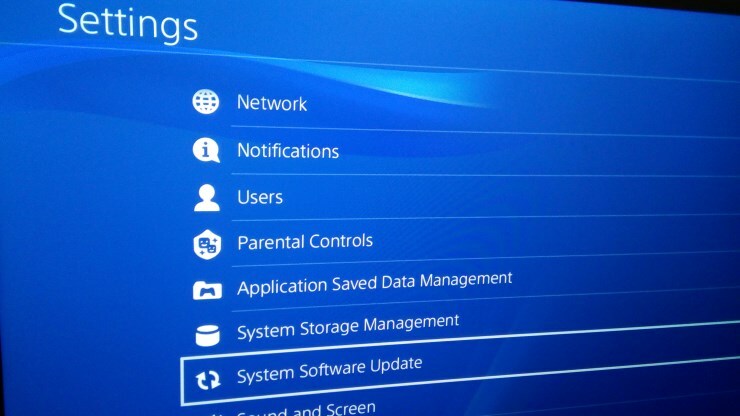 Important: This guide is for you if your PS4 is running on a firmware lower than 4.05. If your console is on firmware 4.06 or higher, this guide is not for you. Additionally, there is no publicly known way to downgrade a PS4 from a higher firmware to 4.05. Any site claiming that it is possible is either misguided or trying to trick you. 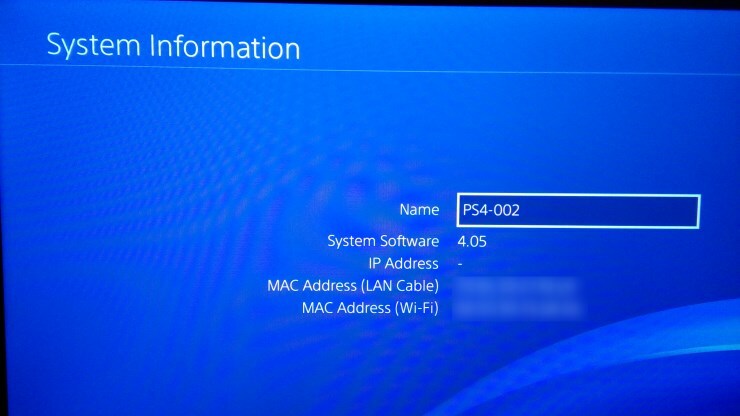 If your PS4 is running a firmware higher than 4.05, you might want to try and get your hands on a 4.05 PS4. The first step is to get a copy of firmware 4.05. 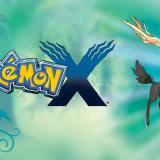 At the time of this writing, softpedia have it up for download here. It can also be found on sce.party. No mater where you get your copy of the firmware, you want to be extremely careful here and not download an incorrect version. The last thing you want to do is end up on firmware 5.03 because you downloaded the wrong file! 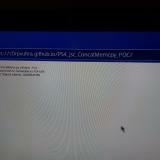 The MD5 checksum of PS4 firmware 4.05 is 203c76c97f7be5b881dd0c77c8edf385. Windows users can use free tool WinMD5 to check the MD5 of the file they download. If it doesn’t match, don’t try to install. First of all, you’ll want to make sure your PS4 isn’t connected to the internet while you’re doing any of this. You’ll need a USB key with about 400MB free. Sony don’t recommend a particular format, but mine was formatted in FAT32, because that’s what they used to enforce on PS3. On the USB Key, create a folder named PS4, and under that folder, another folder named UPDATE. Inside that folder, copy your PS4 Update file. It needs to be named PS4UPDATE.PUP. 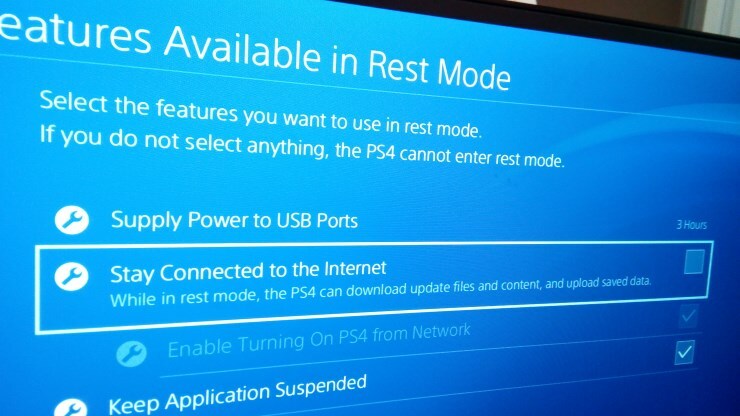 Turn the PS4 on if it’s not already, and insert the USB Key. 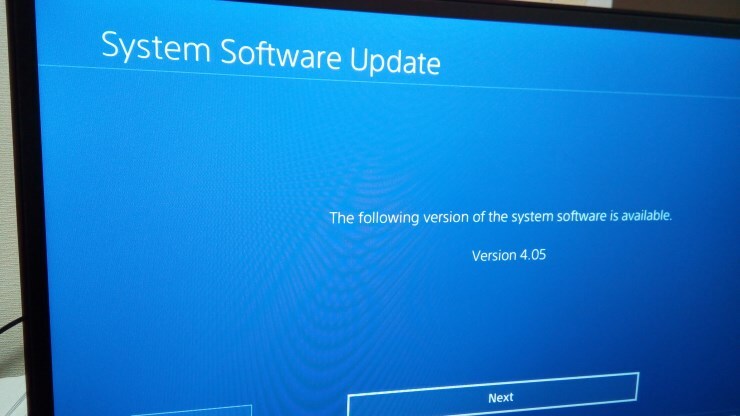 Go to Settings –> System Software Update, The PS4 should tell you that it found firmware update 4.05. If not, go back to the previous steps, and make sure you have everything in place (a typical mistake is to have the update file with the wrong name, or in the wrong folders). When the PS4 tells you update 4.05 is available, click “Next” and follow the instructions on the screen. Stay tuned for more details on the PS4 4.05 Kernel Exploit! 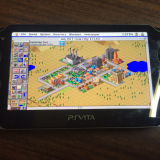 I’m in 4.05, debug settings are working, but 5.03 PUP has been downloaded. Now everytime I’m booting I have that message “Do you want to update to 5.03 ?” with by default the cursor on YES. With FW 4.0 that’s no more possible to delete a downloaded PUP in notification etc..
How can I delete that 5.03 PUP and get ridd off that scarry message on boot ? – will it delete that PUP ? – will I loose my saved data, digital downloaded games ? Yes, this will erase your all data (Games, Media and save data too) .. apart from that you will then still be on 4.05 . Maybe “Rebuild database” in safe mode will only delete that PUP file ? 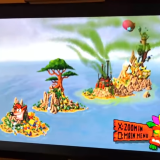 Where can I see that PUP in debug settings ? Thanks for saying its not for *above* 4.05 , well any guesses for E3 flasher kind of hardware downgrades ? It is useless for the majority who already updated to play the latest games. This is basically them throwing a small bone. I bet the devs are already hacked on higher firmwares. Someone give this man a restraining order! Sorry, you missed that special bus. hi im on 4.01 but my ps4 wants to update to 5.0 do i just put 4.05 on usb and install that or will i have to something else first? 1-update and ambitious about this exploit? What can I really do? 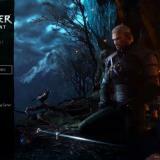 2-can I install the pkg demo games? as ? 3- I read that there is a fake section saved what is it? can I put a ps4 save for another account on mine? . which will update you to the latest,unhackable,firmware. that is a really stupid advice lol. Sergio, heeeeeere Sergio… nice fleshy weenie for you. Pro Tip: If your PS4 complains about not being connected to the internet OR about DNS servers like mine did, install 4.05 using Safe Mode! I followed the guide to a T (USB key ready with the proper filename and folder structure), then while my PS4 was still on I held the PS button to get to the power menu. From there I powered my console COMPLETELY OFF (it cannot be in Rest Mode), then held the power button for about 10 seconds (until the console beeps a second time) and released. The file listed in this thread is also an official PS4 4.05 firmware file. The difference is this one is REQUIRED if your hard drive ever gets corrupted and needs reformatting (which HAS happened to me out of normal PS4 use), as well as if you ever want to upgrade your HDD. I was wondering about that Hash. Thanks. Better question how to get a ps4 with 4.05, i saw on german amazon, a uncharted bude costs ~480€ , but where u can get for ~250€? New and in box PS4 Pro will be $800 or more. So keep dreaming! You should have invested when you had the chance. 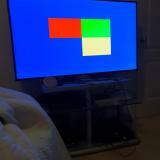 These Firmware fits with european PS4 or not ? Question: will there beexploit for 5.00? Is there a jailbreak for firmware 5.05. Or if there isn’t is there anyway I can downgrade my ps4 to 4.4.05 too get a jailbreak ?